The Blanket incorporates some super simple stitch-work, a little bit of overlay, a little bit of of embroidery and a whole lot of fun. For those of you who the panic stations when you read embroidery…… Deep breaths. It’s a little bit of cross stitch and you’re going to love it. 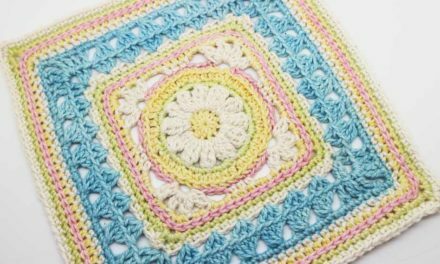 This fun and super easy pattern works up to a 135cm x 135cm blanket and is made in the yummiest of South African cotton. The Cross stitch embellishments are worked in a super soft 4ply cotton. This cal is now complete and the pattern is available here. Can’t wait to do on this new adventure with you and all and see the beautiful Hollypops-es appear. This digital pattern includes a photo tutorial – the pattern includes tips for the skills required to complete. (Intermediate: Involved stitch pattern, color work, and/or shaping). HollyPops is a paid CAL. Payment here is pre-registration into the CAL launching on the 24th of Aug. If you purchase a kit here, it will include the cal registration payment. I am so very lucky to live in one of the most beautiful cities in the world so I never really have to look far for inspiration. The world around us has all kinds of beautiful colour combinations for that next special crochet project. From a butterfly’s wing to a shell on the beach, nature is the perfect place to go hunting for colours. I have an artistic background but I know there are many who struggle to put colours together. If you are one of those who spends hours trying to figure out what colour your next round should be, catch the "stuffs to know" section of my blog for some rainbow adventures and tips and tricks to help you along.